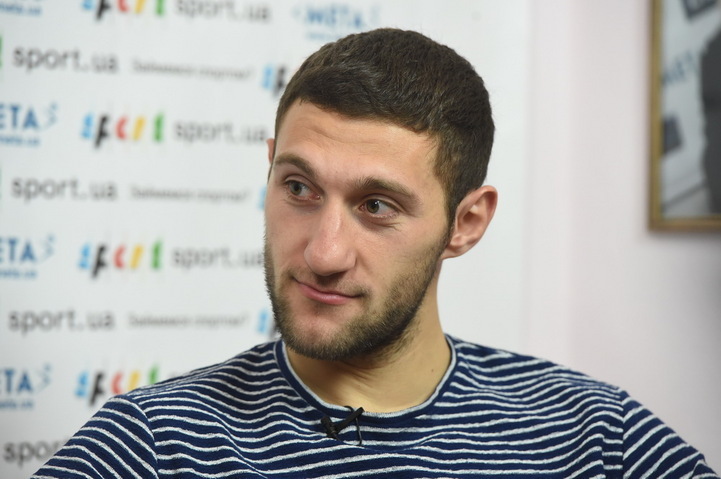 The Pitmen’s defender was a guest at Sport.ua. We bring you the most interesting parts of Ivan Ordets’ conversation with journalists. - I learned about the international call-up two or three weeks before the training camp. So I was ready both emotionally and psychologically. But, of course, when I first heard about it, it was so nice! I even had goose bumps when the corresponding fax was received in Mariupol. I remember Mykola Pavlov calling me to say that I should keep the fax to be always called up by the national team. I took to the pitch in the match against Niger. We won, and I played quite well: I scored a goal, but I also failed to mark the opposition player who got on the scoresheet... But the important thing is that we won. Many said: "The guy is making progress." Of course, it was nice. But I need to work on to be called up by the national team again. - I think Sergio Ramos is one of the best defenders! He is the captain of Real Madrid, who gives a lot of tips to his team-mates. Even when we played away against Real Madrid, I heard Sergio give tips to his teammates. And when the noise of the crowd was very loud, he even whistled to his partners! Ramos is a very tenacious football player with good passing, he escapes pressing well... Before I liked the game of Alessandro Nesta, when he played for Milan. A tenacious performer with good tackling. But it is clear that his level has decreased slightly because of age. I like John Terry – he has been the first-team regular for Chelsea for many years. He never makes serious errors - a very reliable and indispensable defender. - All of our players are top level, including defenders. Oleksandr Kucher reads the game very well, recovers the ball, commands defence! Yaroslav, for example, has a good first pass... I need to learn the best from partners and train. Of course, I want to be myself and to be a role model in the future... As for Victor Vatsko’s words that Khacheridi is the best defender in Ukraine, I agree with him more than disagree. Because Yevhen is tall, fast, plays well in the final third. Maybe he does not cope with emotions sometimes, but he is a top defender, not only in Ukraine, but I think that in Europe too. I think he is good enough to play in the top European clubs. - Probably the fastest footballer of our team is Taison. If he picks up speed, he is very difficult to stop. I played with him in training; I tried to read his actions, determine where he would run. But if he has a free zone, it is very difficult to stop him. - All the players in our team are physically strong. Many have extra fitness sessions like Maksym Malyshev. Anton Kanibolotskyy and Serhiy Kryvtsov also train a lot. But it is difficult to single anyone out. I would say that a defender must not only be strong physically, but he must also possess speed, there must be balance. - Perhaps it is Serhiy Kryvtsov. He has a great sense of humour, he always gets to the point with his jokes. Also, Bernard is always cheerful – it is nice to look at him, when he smiles. Of course, he knows only a few words in Russian, but the fact that we speak different languages is not a problem - on the football field all understand jokes. - I have always rooted for Shakhar, because I lived near Donetsk, supported the team with my grandfather. I really liked Zubov’s game. Later, my father bought me his T-shirt, and I played football wearing only this shirt. - When I was nine, I was training with my physical education teacher, we worked on various football exercises. Then, at the initiative of my father, I went for a trial to the Shakhtar Academy. I remember arriving in Donetsk; we were lined-up, first of all, then we started to play, but we did not have a goalkeeper, and I played in defence. I felt very sorry when we conceded goals. So, I was told that I would be a centre back. - There is a saying: “Technically skilful defender is a problem to the team”. And Mister has such requirements: one should play safe, without improvising, in some cases it is better to clear the ball. You cannot “bring” goals - at this level mistakes are not forgiven. Perhaps because of this, there is such a saying! In general, Mister rarely calls a player and talks to him for a long time. Basically he gives you tips in training or before a game. Two or three words - and you feel nice! When we faced Fenerbahce, Mister came up to me ahead of the game and said, “You're going to play. Take to the field calmly and do not worry. " We talked for just a couple of minutes and he warned of a furious crowd pressure. - When we faced BATE Borisov in Lviv last season, I had goose bumps! I recalled how I was a ball-boy at the Olimpiskyi stadium when I was 13-14... When Shakhtar played with Milan, Karavaev, Noyok, Budkovskyy, Malinovskiy and I were holding the sheet with the logo of the tournament during the Champions League anthem. I wanted to play in the Champions League very much. Dreams come true: the guys and I shook the sheet well!